Unless you live in a cash-only world, being able to get credit is critical to buying almost anything. Before giving you credit, a lender will check your credit record with one or more of the three credit reporting agencies (Experian, Transunion, Equifax) that keep credit data on millions of American consumers. Your credit history can be checked when you apply for any kind of credit — a job, insurance or even an apartment lease. Lenders can consider your credit record as long you are treated fairly and the same as others who are applying for credit. Sometimes, however, things happen that can hurt your credit. Job loss, income decline, illness or even a computer error can harm your credit record. As is common these days, identity thieves and hackers can also affect your credit score so checking on your score and your finances regularly is a good habit to develop. Federal credit protection laws exist to make sure you get a fair shake when you get credit, use credit and maintain your credit record. The Fair Credit Reporting Act requires credit reporting agencies to keep accurate information that stays private. Basically, this law says how credit data gets reported and maintained to be sure it is accurate and used properly. If the law is violated, though, you generally must handle the issue yourself or consult an attorney for help. If you do consult an attorney, the law says you have the right to make the other side pay your attorney fees if you win your case. Incorrect data on your credit report can negatively impact your ability to obtain credit and this law gives you the right to dispute errors with the credit reporting agency. If the errors are not fixed, you may have the right to recover compensation for the damage the errors may have caused you. Like any legal right a consumer may have, an attorney can provide assistance in prosecuting your case through the court process. The three consumer credit reporting agencies must give you a free copy of your credit report once every 12 months if you ask for it. You also have a right to a free copy if your credit application is turned down or if you cannot get a job or insurance because of a credit report. But you have to ask for a report within 60 days of receiving a turn down notice. The notice that is sent to you will give you the contact information for the credit reporting agency whose report caused your denial so that you know who to contact. Call the official toll-free number (877- 322-8228) or go to www.annualcreditreport.com, where you can order your reports directly. Fake credit report websites do exist, so do not give out any credit card information to get your report. The official website does not ask for any credit card information. If you are unemployed, you can get one free report a year as long as you plan to look for a job within 60 days. If you are on welfare or if your credit report is inaccurate because of fraud (including identity theft), then you are also entitled to one free copy of your credit report each year. The report you obtain should be the same as what you would receive by requesting your annual free report but this part of the law gives you the ability to obtain another report regardless of how long it has been since you requested your free annual credit report. If your credit record contains errors or there is false information on your credit report, tell the credit agency. The agency must investigate the accuracy of your record. If the information turns out to be accurate, then you cannot remove it from your record legally. That information will only be removed from your record after an appropriate period of time has passed. Most negative information can be put on your credit record and kept there for seven years. If a judgment is made against you, it can be reported on your credit record for seven years. Bankruptcy information is allowed to be kept on your credit record for 10 years and criminal records can appear on credit reports for an indefinite period of time. If you are having problems with bills, you should contact your creditor immediately in order to try to work out a payment plan that allows you to make lower payments that you can handle. Do not wait until your account is turned over to a debt collector. Debt collectors are almost always much more difficult to deal with than creditors themselves. For more information on credit records, visit the Federal Reserve Board’s website at www.federalreserve.gov or the Federal Trade Commission’s website at www.ftc.gov. 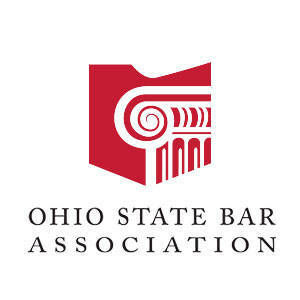 This “Law You Can Use” column was provided by the Ohio State Bar Association. 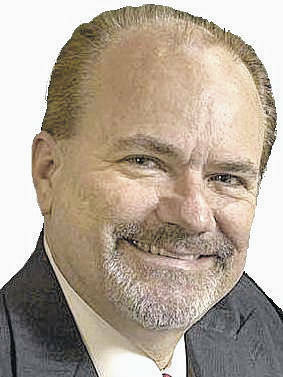 It was prepared by Dayton attorney Ronald L Burdge of Burdge Law Office Co., LPA. Articles appearing in this column are intended to provide broad, general information about the law. This article is not intended to be legal advice. Before applying this information to a specific legal problem, readers are urged to seek advice from a licensed attorney.